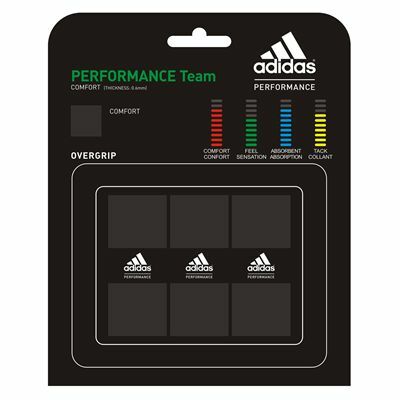 The adidas Performance Team overgrip is 0.6mm (0.02”) thick and provides a great balance of comfort, control and absorbency. 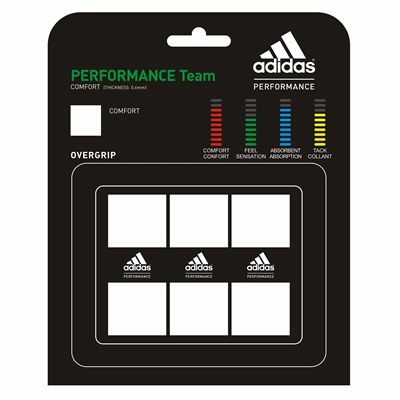 It is produced from PU and comes in a pack of 3 grips. 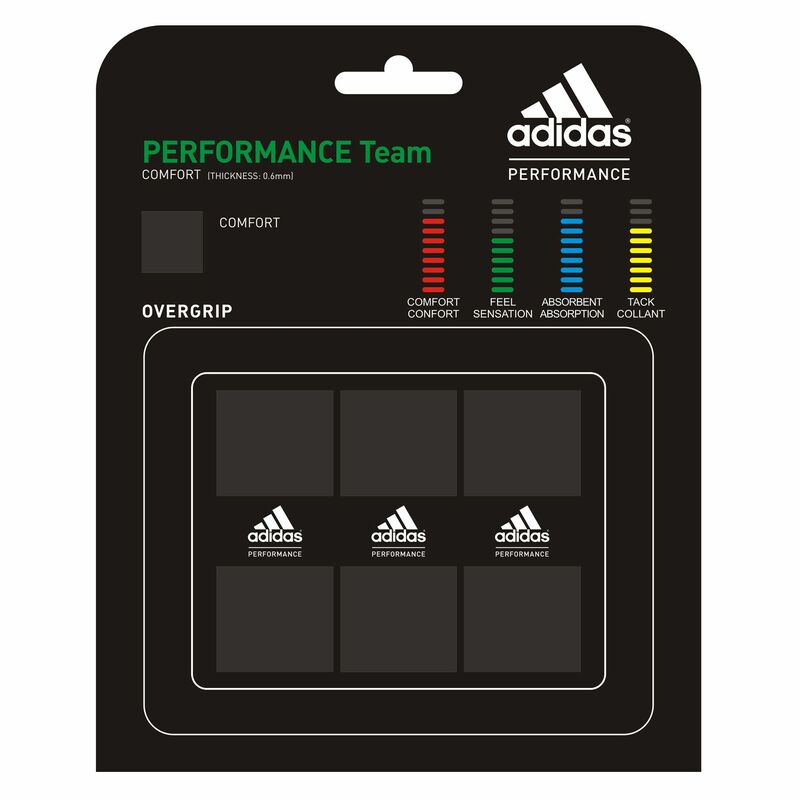 for submitting product review about adidas Performance Team Overgrip (3 Pack).